The Download Player is used in over 55,000 locations, spanning 157 countries around the world, delivering foreground and background music and digital signage to retail and leisure outlets. 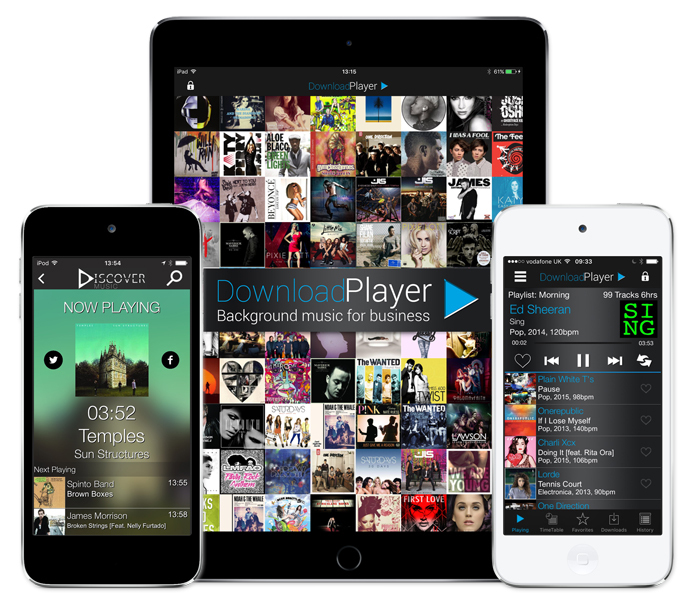 The iOS Download Player can be used to provide a single zone of background music on iPhone, iPad or iPod Touch - Allowing you to download the App and set up with ease. Once you’ve entered your unique install code, your bespoke playlists are downloaded and playing in 30 seconds. The iOS Download Player works on the following iPhone, iPad or iPod Touch devices, running iOS v9.3 or later. We recommend that you use a device with at least 32 GB of storage space. If you want to explore, get help with or learn more about your iOS Download Player take a look at our online guides, which explain all you need to know about your player.